Elliott Booth. Photo Jasper Caverly. Nurses at two Melbourne hospitals a dire prognosis for the public health-care system: progressive sclerosis. Jasper Caverly reports. 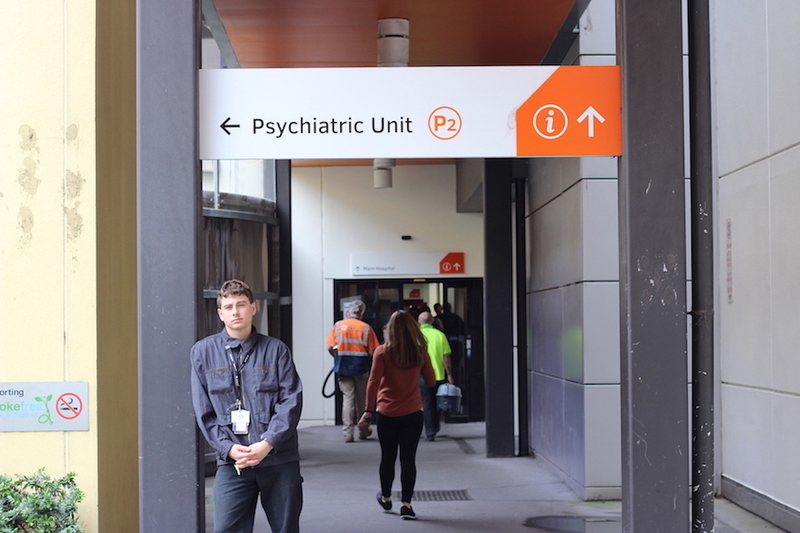 A nurse on the psychiatric ward at The Alfred Hospital says he fears inadequate funding in the public health sector will lead to a decline in the quality of medical services. 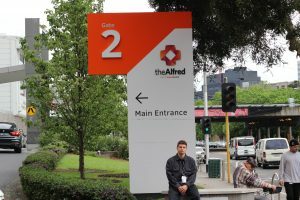 Elliot Booth, 24, an entry-level registered nurse, voiced his belief that staff in Australia are undervalued and underpaid. Isobel Dale, who works on the specialist oncology word at Sunshine Hospital, echoed his concern. Even though employed for less than six months in the public health sector, she already shares Booth’s worry for the future of the nursing profession. Dale said failure to attend to the issue would create “a serious problem – and not just for nurses but patients also”. Nationwide there are more than 230,000 registered nurses, with an average age of just on 44, according to the federal Department of Health’s Nursing and Midwifery 2017 report summary. Within two decades, nurses now around that average age will be moving into retirement, in many cases leaving to those now aged under 25 the work of ensuring operations run smoothly. Dale maintained it was crucial to attain higher health-care standards before the bulk of the population reached retirement age, when their medical needs could be expected to increase. An entry-level registered nurse can earn up to $1083 per week, working an average of 38 hours over seven days. The Australian Bureau of Statistics’ Survey of Employment Earnings 2016 gives the average weekly income for a nurse in Australia as $1403 a week, about seven-eighths of $1592, the equivalent for employees in general. The Reserve Bank has calculated that Australia’s cost of living rose 9.8 per cent between 2011 and 2016. Over the same five years, the average nursing salary rose only 1.6 per cent under the Fair Work Ombudsman’s Nurses Award. Dale described her working conditions as “really physically, mentally and emotionally draining” but said her passion drove her on, in spite of the rising cost of living. In the 2014 federal Budget, the then Abbott Government shut down Health Workforce Australia, a policy research agency producing reports and summary tables for the nation’s health workforce. Then Minister for Health Peter Dutton outlined the budget cut in a media release headed ‘Rebuilding General Practice Training” and said the decision would lay “the foundation for building a stable, efficient health workforce for the nation”. With the abolition of Health Workforce Australia, the Australian Nursing and Midwifery Federation would assume greater importance: today it claims a membership of 249,000, making it the country’s biggest union. The union has vowed to “ensure that Medicare remains free for all Australians, and that politicians and health bureaucrats understand that more funding, not less, should be a priority”. Elliot Booth, however, voiced disappointment with the federation, saying it was “involved in minimal industrial action” and not striving for its members to match the pay standards set by other unions. Nurse Dale summed up the impact of inadequate health funding as a “revolving door”. She explained that patients were often discharged too early due to a lack of hospital beds, and readmitted soon afterwards with their condition having regressed.